This report is a contribution of the Division of Plant Science, University of Missouri College of Agriculture, Food and Natural Resources. The work was supported by fees paid by the companies submitting hybrids for evaluation. The University of Missouri began its performance testing program for grain sorghum hybrids in 1958. The number of commercial entries in the program increased from 40 in 1958 to 134 in 1982. The number has declined to 19 hybrids in 2016. To select a commercial hybrid intelligently, producers need a reliable, unbiased, up-to-date source of information that will permit valid comparisons among available hybrids. The objective of the University of Missouri's performance testing program is to provide this information. The tests are conducted under as uniform conditions as possible. Small plots are used to reduce the chance of soil and climatic variations occurring from one plot to another. Results obtained should aid the individual grower in judging the relative merits of many of the commercial grain sorghum hybrids available in Missouri today. 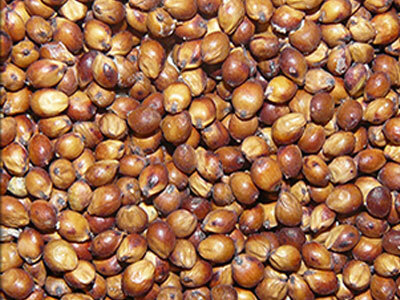 NOTE: The next sorghum crop performance test results will be posted as they become available.